September 2017 sees a new era in our schools with wellbeing introduced as a subject in the junior cycle curriculum. It forms another major step towards a ‘human’ education system. One which sees beyond academic achievements and looks to develop the self. Its incredibly welcome and timely, as statistics on mental health issues and obeisity problems in young people continue to rise. 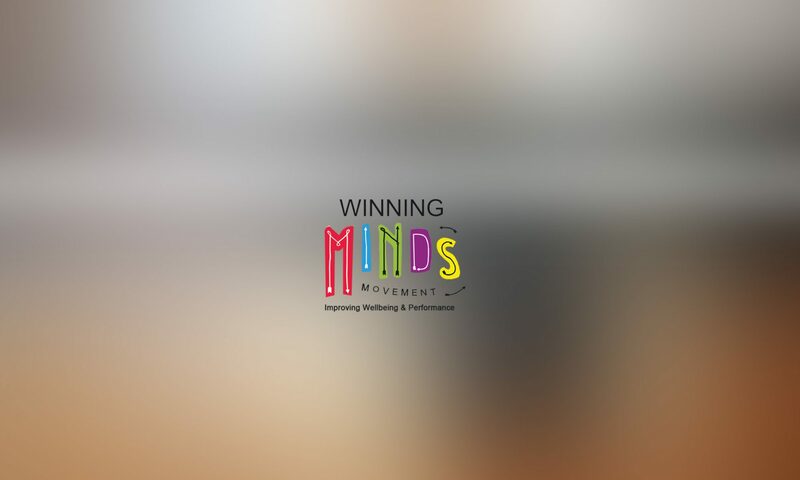 Wellbeing education is also at the heart of the Winning Minds Movement and we look forward to assisting schools in the future with this exciting development. So what is the thinking behind the new wellbeing curriculum – and why does wellbeing matter. Wellbeing is gaining increased attention across many education systems. This is influenced by the United Nations Convention on the Rights of the Child which emphasises children’s right to achieve their full potential and participate in decisions that affect them. A rights-based approach to wellbeing is useful as it reminds us that wellbeing matters not simply because it leads to better educational outcomes or can influence young people’s outcomes as adults. Wellbeing matters in the here and now. It is important in its own right because all students have a right to feel cared for in school. That said, we also know that students who have higher levels of wellbeing tend to have better cognitive outcomes in school. ESRI research found that ‘children with higher levels of emotional, behavioural, social and school wellbeing had higher levels of academic achievement subsequently (at ages 11, 14, and 16)’. Therefore wellbeing and learning are inextricably connected. It is vital that those who seek to promote high academic standards and those who seek to promote mental, emotional and social health realise that they are on the same side, and that social and affective education can support academic learning, not simply take time away from it. There is overwhelming evidence that students learn more effectively, including their academic subjects, if they are happy in their work, believe in themselves, and feel school is supporting them. There is also a large body of international research showing an association between the quality of relationships between teachers and students and a number of student outcomes, including socio-emotional wellbeing, engagement in schoolwork, feeling a sense of belonging in school, levels of disciplinary problems, and academic achievement. Headstrong’s My World survey identified key risk and protective factors to the mental health of young people. Among the 12-18-year-olds surveyed the most powerful predictor of good mental health was the presence in their lives of at least ‘one good adult’–someone who knew them personally, believed in them, and was available to them. Those who could identify such an adult were found to have stronger self-esteem, optimism that they could cope with life’s challenges, and a sense of wellbeing. Those who could not identify any such figure in their lives were found to be at high risk for anxiety, depression, acting out and self-harm. For the majority of the adolescents surveyed, their ‘Good Adult’ was identified as a parent (most likely their mother), but for many it was a grandparent, older relative or teacher. It is important that the role of school in relation to wellbeing should not be underestimated. By optimising opportunities for young people to learn about wellbeing and by being aware of the protective factors that the whole schoolcommunity can provide to enhance young people’s sense of wellbeing, schools can make a significant difference. Childhood can be seen as a process of ‘well-becoming’, where young people are gaining knowledge, skills, values and attitudes that will sustain them throughout their lives. This is a lifelong journey, but one where schools play an important part. positive about themselves and see themselves growing into better people. Schools have a central role to play in supporting and promoting students’ learning about wellbeing and for wellbeing. They learn about wellbeing through specific areas of the curriculum and various wellbeing events and initiatives that are organised to develop awareness, knowledge and skills about wellbeing. They learn for wellbeing when their whole experience of school life including all the day-to-day interactions, both within and beyond the classroom, are respectful and caring. Thinking about learning for wellbeing requires that we consider not only what students learn but also how they learn it. Learning for wellbeing can be nurtured in all subjects and by all teachers.